Holiday season is approaching fast! We know that choosing gifts can be difficult, especially for sports-lovers; there are so many niche products out there that it can be hard to figure out what people would actually like. 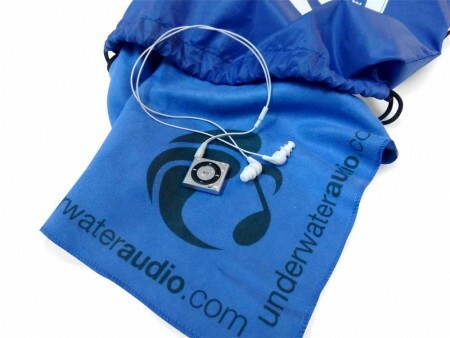 We at Underwater Audio want to make your shopping a little easier and more enjoyable by giving you some great gift ideas for the swimmers in your life. These 5 gifts for swimmers will put your mind at ease and warm their hearts. 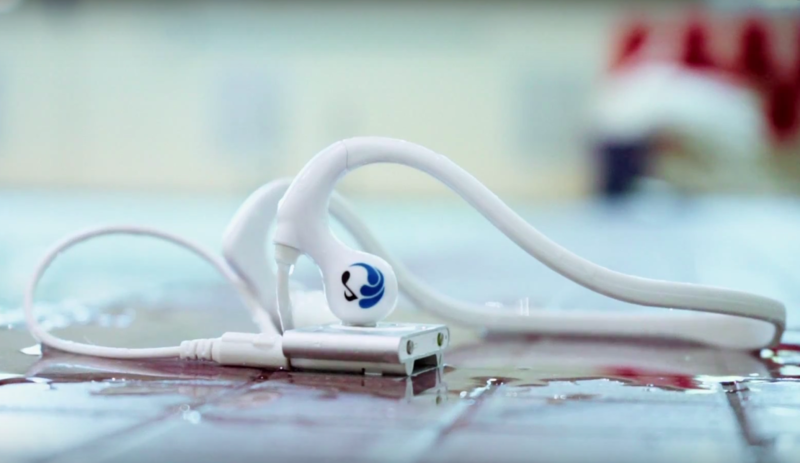 These beauties allow your swimmer to enjoy their favorite music no matter what they decide to do with their day. Designed for lap swimming and extreme water sports, HydroActive Waterproof Headphones have great sound quality above and below the water. 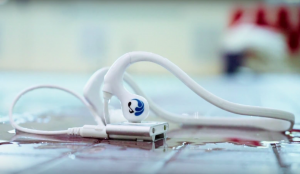 The back band guarantees the headphones will stay on no matter what, and 4 different types of earbuds are included to ensure a comfortable, watertight fit for the user whether they’re in the pool or on the river. There’s no doubt your loved one would make great use of these! 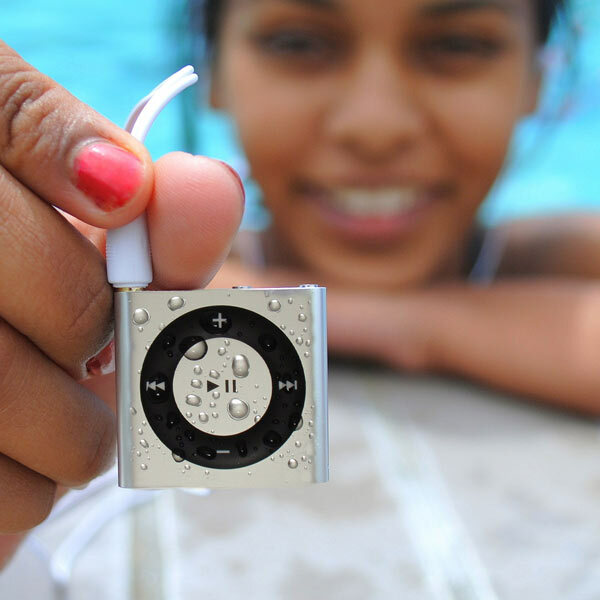 A Waterproof iPod allows music to follow wherever you go! I guarantee anyone would love to bring their favorite playlists and audiobooks with them while doing laps in the pool or drifting down the river. They’re also great for running in the rain, water sports, camping, or any other activity where you might get wet. You can even buy it in a bundle with the HydroActive headphones here to get the full package. Maybe your swimming enthusiast is someone who is always on the go. This Teamster Backpack by Speedo is perfect! It’s built to be sturdy, and it has a raised laptop sleeve and a water resistant bottom so your swimmer can focus on their technique rather than their valuables. This backpack even converts into a bleacher seat for watching the meets at the pool! For a less expensive gift, this microfiber towel is a great option! Again, this is a great thing for an active swimmer who is often on the go. It is designed to dry quickly so you won’t be carrying a heavy, wet towel all day after you dry off. It folds up to be pretty compact and even comes in a mesh zipper bag. I love these because they are so discreet and low maintenance. I love this fun idea for a gift! 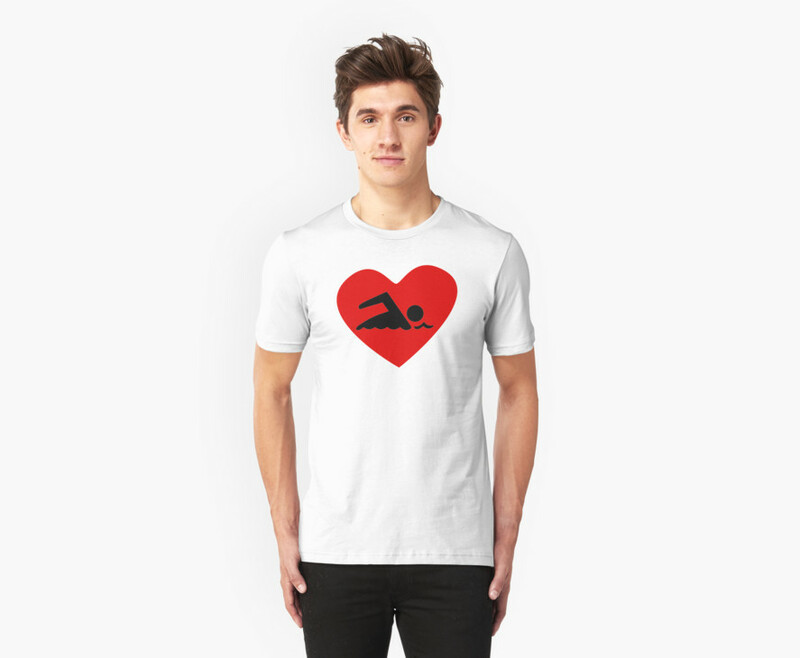 This unisex Swimmer Heart T-Shirt is a nice post-workout or everyday shirt to remind everyone of their love of their sport even outside of the pool. It comes in sizes from S to 3XL, so you should be able to find one to fit most anybody! I hope this helps narrow down some decisions to make for gift-giving this holiday season! Your swimmer is sure to love any of these. Have fun with it and enjoy that precious time with friends and family. Happy Holidays!